Get Your "Fall" On At #MartketStreet! You are here: Home / Great Deals / Get Your “Fall” On At #MartketStreet! Get Your “Fall” On At #MartketStreet! It’s the time of year when we think of Fall Festivals, camping trips, Halloween, and Caramel Apples! 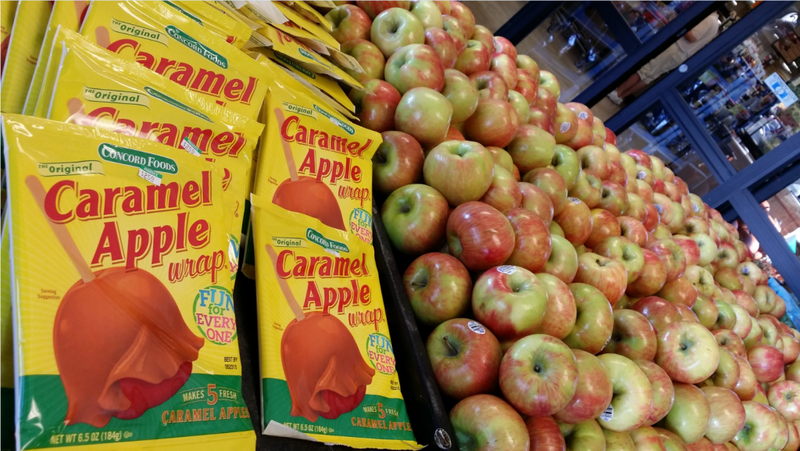 Well, Market Street has you covered for the Caramel Apples – they have an awesome supplies of all the makings for caramel apples or even and old fashioned apple bobbing! Bakeware – These oven-to-tableware dishes are perfect for everything from every day entertaining to special occasions. Cookware – Enameled Cast Iron is beautiful, durable and retains heat extremely well. Guests will earn one e-sticker for every qualifying $10 ticket spend. Track your e-stickers on your receipt, on our mobile app, or online. 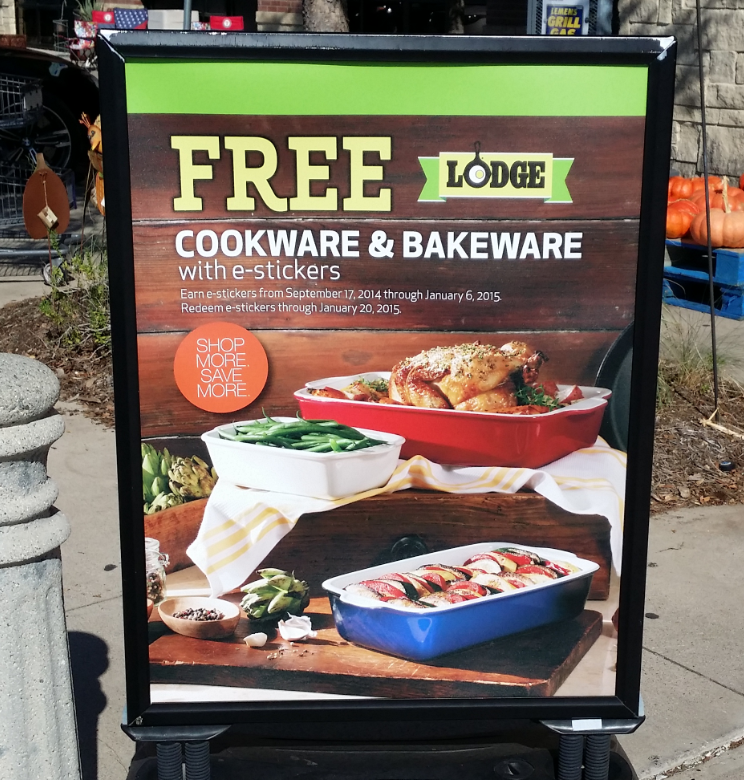 When you have earned the required number of e-stickers, simply select your desired cookware or bakeware and give your Rewards account number to the cashier at checkout to redeem your FREE item. Also remember their huge array of Pumpkins and their Pumpkin patch. Get your BOO on this Halloween! Enter the haunting Halloween aisle, if you dare. 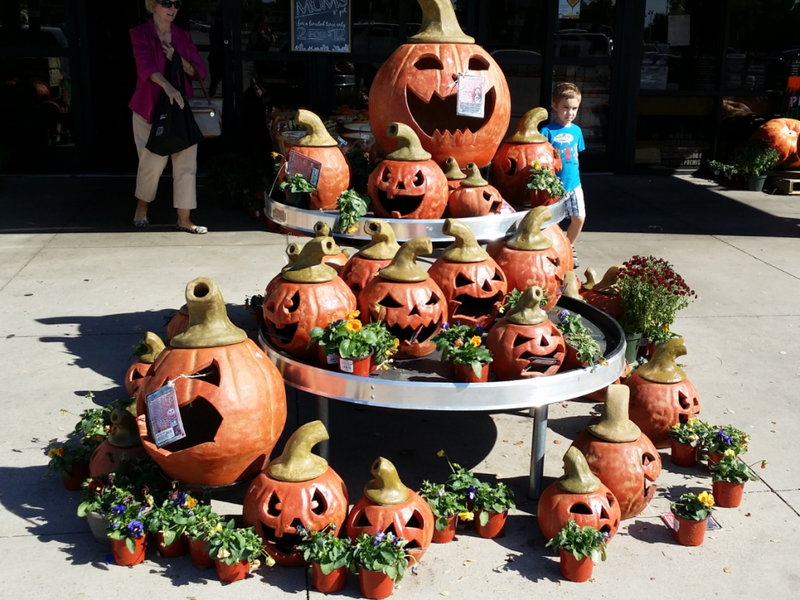 You’ll find decorations, spooky party ideas, a thrilling selection of candy, and even more unique entertaining ideas throughout the store. The dish department has beautiful, creative and fun Halloween decorations that are perfect to dress up your table. Fake spiderwebs, plastic spiders, black lights, and witches’ hats. They have everything you need to set a spooky scene. Our famous Pumpkin Patches are a fun, festive setting for kid’s photos too. We don’t mind at all, so make yourself at home. If you haven’t been to Market Street lately, why wait? It’s the perfect time to get your “Fall” on!